Somlói galuska (pronuance: "SHOM-LO-I GAL-OOSH-KAH") is a popular and well known Hungarian dessert. It is made by layering chocolate and vanilla sponge cake with vanilla custard, raisins, walnuts, chocolate sauce, rum and a generous topping of whipped cream. My somlói recipe is very special and funny one. I made it in only one case :) Well, once the sponge cake what I made was unsuccessful, then I added it to some grained walnut, some chocolate and vanilla cream, raisins and rum and I served with whipped cream. Maybe it's not an authentic Somlói recipe, but the result is just as delicious, so try it! But if you don't want to prepare it by yourself then you can also taste those made by one of the Hungarian confectioners. According to the legend our Somlói galuska got the name from a Hungarian master confectioner's wife, who was born in Somló region. This dessert was created at first for her by his husband. 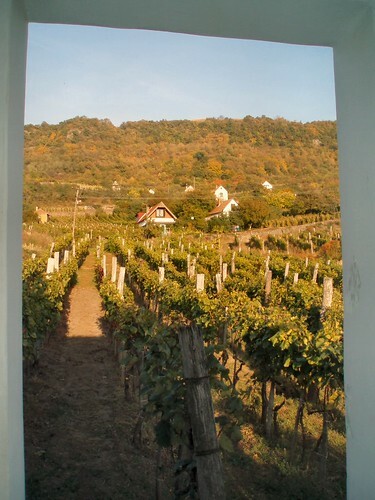 Actually Somló region is the smallest wine region of Hungary, but has excellent white wines. Somló hill is located in the Western part of Hungary, 100 km from the Alps of Austria and 40 km from Balaton, the largest lake in Europe. The history of wine-growing in the region dates back to the Roman empire, some 2000 years ago. , originally uploaded by Ajka_Hungary. 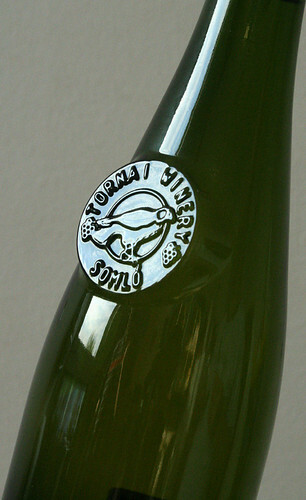 The Somlói Juhfark (Somló Sheep's tail) is the most famous wine of Somló Hill, and a favorite of gourmets. Harvested late and a realitvaly sensative type of wine, it is full of passion, character, masculine, elegant and with a high level of extract. In good vintages it stands out with it's moderate acids and excellent quality. Fermented in wooden casks, the wine absorbs a unique and harmonious background fragrance from the wood. Somlói Juhfark - Tornai Pincészet, originally uploaded by bor-neked.hu. bár még az angol nem a legjobban megy, de a receptek "hazavisznek"
Köszönöm a kommentedet :) Az angol miatt meg ne aggódj. A "my poor english" is hagy még némi kívánni valót maga után, de éppen ezért blogolok angolul :)Így legalább rákényszerítem magam, hogy használjam egy kicsit. We had this on holiday in Hungary almost every day. Do you know where there is a good recipe?